This week we launched a new collection by LoVid, a collaboration between Tali Hinkis and Kyle Lapidus. Working together since 2001, the artists bring together digital and analogue processes and methods to produce audiovisual installation works, which explore the intersection of craft and code, the handmade and the machine made. Through a combination of research and practice LoVid think through relationships between machinic and human behaviours, exploring ideas of networked identity, materiality and the virtual, and the role of art-making as performative gesture in the context of computer generated or virtual spaces. Since their inception, LoVid has presented work internationally at exhibitions, art fairs and festivals including the ICA, London, The New Museum, New York, International Film Festival Rotterdam, Netherlands and Museum of Moving Image, New York among others. Their work has received support from organisations such as The Robert Rauschenberg Foundation, Signal Culture, Eyebeam, Rhizome, Experimental TV Center and NY State Council of the Arts. LoVid’s video works are distributed by Electronic Arts Intermix, New York. We spoke to Tali and Kyle from LoVid about their work that blurs the lines between digital and analogue, man and machine, and their participation in a group show at SPRING/BREAK Art Show during Armory Week in New York. Could you explain your process to us? How do you begin work on a new project? It really depends on the project. Some of our projects are very long-term and involve a significant amount (sometimes years) of planning, fundraising, and technology development - these are also often very collaborative and include other artists or technologists. Other projects are more spontaneous, and happen on the spot in the studio or at a residency. In those, we are usually looking for a new sound or image experience. This difference also reflects differences in our approach: Tali tends to be more intuitive, while Kyle is more deliberate. What interests you about the relationship between analogue and digital formats? What do you feel each brings to the mix? We have worked extensively with analogue for a while now. Initially, this allowed us to explore a more personal way of producing video that does not rely on mass-produced tools such as computers and software. We wanted to revisit the era where artists had to be creative in building their own instruments, like in the 70s before a lot of commercial equipment was available for media art. We are drawn to the fragility and unpredictability of the analogue signal. Recently we started incorporating digital techniques as well, for editing and in some of our other projects including sensors and works for mobile devices. We see our work as a response to visual culture and had specific projects that expanded beyond what we could do strictly limiting ourselves to using analogue video. We are also very drawn to works that include contrasts and a combination of materials, and we feel that this combination has a particular look to it and allows us to compose chaos in new ways. On your website you say: "As a complementary part of our practice, we also apply machine-based and digital fabrication techniques that highlight our view of the critical importance of human/machine interaction in the digital age." What is your view on the relationship between human and machine? Are we cyborgs already or likely to become them? Although the details of how this will happen and what form it will take remain to be seen, we do think that we are in the midst of an evolution of this symbiosis. Some might end up being invisible and happen more at a neurological level, but it can be more fun to imagine a hybrid human/machine retro-futuristic version. We are drawn to the ways human perception of the environment and of ourselves evolve, as influenced by many things, including technology, but also the natural world, and human culture in general. How do you envisage your work playing out on Sedition? What interests you about distributing your work in this way? We've always been interested in different distribution methods and particularly in new and innovative models. This is greatly influenced by our background in music and experience running a micro-label. We are also interested in the differences between the traditional art-world model of value that is based on exclusivity and rarity and one that is more traditionally related to music culture and now the internet that is based on mass-distribution; cultural impact is influenced by gaining mass-attention. We have developed an interest in using mobile devices as platform for experiencing art and this is another reason that we are excited to work with Sedition. We are approaching our Sedition project as a new type of a media release, distributing works for a larger audience. We are often surprised at how many people outside of the art or media art world have little knowledge of technology-based art, while so many carry media players and devices with them at all times. We anticipate that our collaboration with Sedition will reach new audiences beyond our usual followers. What is it that draws you to the DIY aesthetic? We are drawn to DIY as part of our practice because of our interest in personal gestures and intimacy with machines. The trajectory of mainstream technological development is often influenced by a desire for efficiency above all else, and our attitude reflects a contrast to this industrial approach. Sometimes doing things less efficiently might produce more surprising and interesting results for us, and making our own gear allows us to celebrate our limitations while being acutely aware of everything that goes into making the final video or object. This means that we can stand behind all of the decisions that went into the work, rather than building on someone else's foundation and accepting at face value all of their assumptions and compromises. How do you explore forms of craft in your work between old media and new media? Our synthesizers are handmade and we see clear connections between electrical engineering, the production, including soldering and assembly, and physical craft. On a more abstract level, we approach video production, whether it is within a live video recording, a performance, or in post-production, as working with physical materials. In the recordings of our video, we hope to share the visceral experiences we have during the physical manipulation of electrical signals. This interest also crosses over into some of our other works that go beyond the screen and into the physical realm, such as NetWork (2009), an installation that includes a physical weaving of electrical wires, and our recent body of work, Video Taxidermy, where we print video images on textile and sew them into soft sculptures. 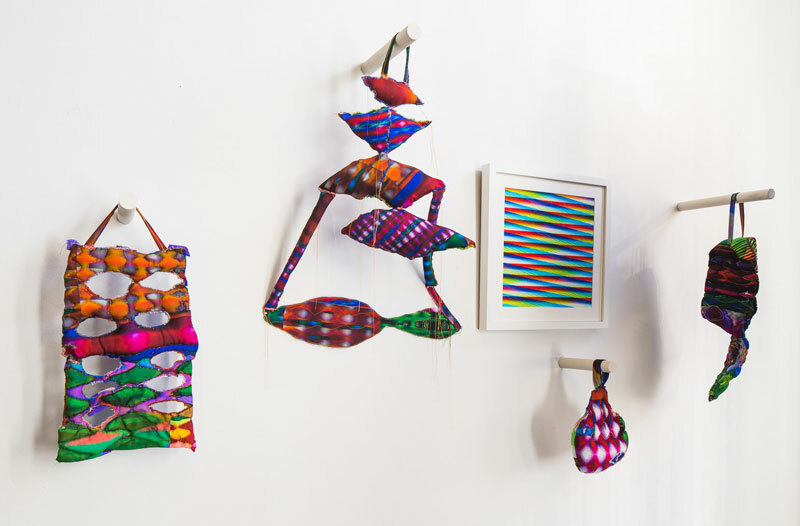 Can you tell us about your works on display during Armory Week and the exhibitions you're in? In SPRING/BREAK we are exhibiting as part of a group show called Original Copy, curated by Parsley Steinweiss and Sarah Sharp. We're showing some new pieces from the Video Taxidermy series as well as a couple of prints. The sculptures are made out of our own video-designed printed fabric, based on recordings we made this year. The prints are digital editions, also derived from video works. We have been exploring the idea of translation in the crossover between media and the aspects of an experience that are carried from one format to another or arise de novo with specific materials. This is our first time participating in Moving Image and we are very excited as it is one of our favorite fairs to visit. 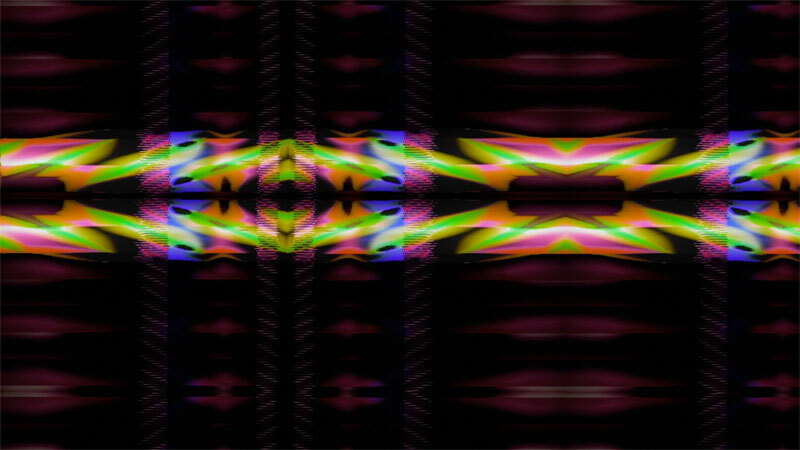 We'll be showing a relatively new video called cell-a-scape, with Electronic Art Intermix. This video includes both synthesizer-based recordings and camera work - it focuses on a formal relationship between natural and electronic worlds. What are you looking forward to seeing during Armory Week? SPRING/BREAK was a real blast last time - more than any particular piece, it had great energy and a general sense of fun. There was also a nice communal spirit, with so many group shows and artists who took the role of curators. We were also very impressed with some projects by out-of-town galleries and artist-run spaces. Mostly we are looking forward to catching up with people and the dynamic time that an art fair week is all about. Could you tell us about your upcoming plans and projects? A few things are on our plate for this year. We are wrapping up a very long term project called Reaction Bubble that is funded through a grant from The Robert Rauschenberg Foundation and with Real Art Ways. This is a very ambitious installation and performance that involves collaboration with ceramist Matt Towers and choreographer Deborah Goffe. We plan to premier it in late 2016. We have other works that we are very excited about, including some new videos that will be released later in the year, and more works in the Video Taxidermy series. We just sent some new fabrics to be printed and we are taking up a new challenge by scaling them up, so it will be interesting to see how that affects the work. More immediately, we are looking forward to all the new work that we are releasing this week between the fairs and the Sedition collection. So we hope to bring new ideas and perspectives back into the studio after this week. 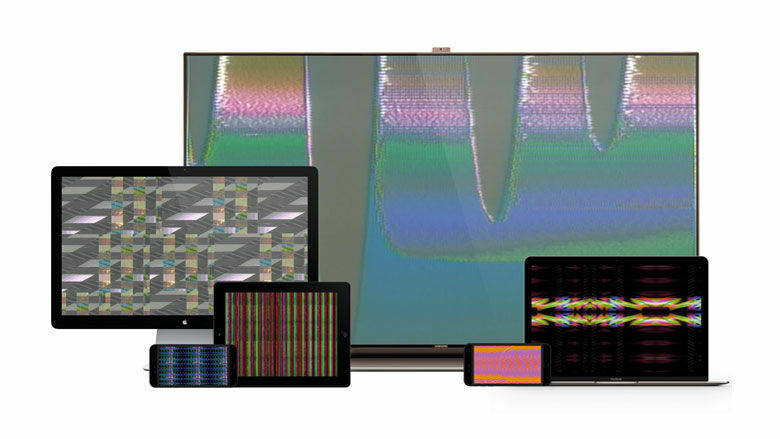 LoVid's Thread Through The Eye collection of six video pieces are now available on Sedition. LoVid’s work is on display in Original Copy as part of SPRING/BREAK Art Show at Skylight, Moynihan Station, New York from 1-7 March 2016. Their work is also showing at the Moving Image Art Fair at the Waterfront New York Tunnel, 269 11th Avenue, New York from 3 - 6 March 2016.